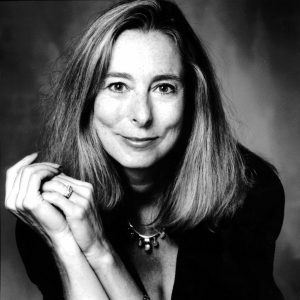 New York, N.Y. – The annual $30,000 Rea Award for the Short Story is awarded to ANN BEATTIE. Ann Beattie has received critical acclaim for her depiction of the generation of Americans who grew up in the 1960’s. She has published eight collections of short stories, including Park City, What Was Mine, Where You’ll Find Me, The Burning House and the recently published Follies: New Stories. The Washington Post has called her “one of the era’s most vital masters of the short form.” She is also the author of seven novels, including The Doctor’s House, Another You and Picturing Will. Ann Beattie’s many honors include the Award in Literature from the American Academy of Arts and Letters, a Guggenheim Fellowship, and the PEN/Malamud Award for Excellence in Short Fiction. She is a member of The American Academy of Arts and Letters and The American Academy of Arts and Sciences. Her stories have been included in three O’Henry Collections and John Updike’s Best American Short Stories of the Century. Her forthcoming Lincoln Perry’s Charlottesville, is a collaboration with her husband, the painter Lincoln Perry. Ann Beattie is currently the Edgar Allan Poe Professor of English and Creative Writing at The University of Virginia. In addition to The Rea Award for the Short Story, the Dungannon Foundation sponsors Writer’s and Lecturer’s programs at universities across the country and also helps fund the Selected Shorts program at Symphony Space in New York City.